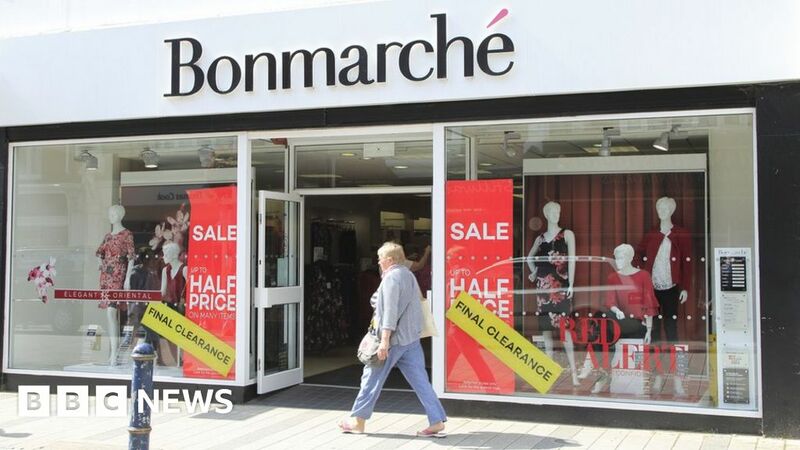 Clothing chain Bonmarché is warning losses could reach £5-6m this year, far worse than the £4m loss previously predicted. The warning, in a trading update to investors, is the third in six months from the Yorkshire-based firm. Bonmarché, which has 312 outlets specialising in clothing for the over-50s, said sales post-Christmas had actually picked up slightly. But it said trading since the start of this month “significantly” weakened. The statement comes less than two weeks before the company’s annual results at the end of March. Bonmarché had had a lot of stock left over from a poor third quarter, which it sold off with deep discounts. It said this strategy worked well. Autumn and winter season stock levels were now 40% lower than at this time last year. It struck another mildly positive note, saying sales since Christmas had been slightly above the level required to meet the revised forecast range of losses of up to £4m that it indicated in December, and it was confident it would meet that target. But since then, trading in March had reversed those gains and “in light of this, we now believe there is a likelihood of sales levels for the remainder of the month continuing to follow this trend”. It went on to say the underlying loss for the year to the end of March 2019 would be greater than £4m, and “accordingly, we now estimate that the underlying PBT [profit before tax] loss will be between £5m and £6m”. Next year, it expects to meet its forecasts.